What Qualities Characterize the Best HVAC Contractors? When it comes to finding the best HVAC contractor in the greater Philadelphia area, two words come to mind – challenging and frustrating. It can be very challenging when you consider the number of HVAC contractors in Philadelphia that currently advertise online or in the Yellow Pages. Plus, it can be extremely frustrating when you are trying to find an HVAC contractor that is dependable, reputable, and trustworthy. However, there are certain qualities that characterize the best ones. This is what you should look for when attempting to choose the best one for the job. Annual cooling and heating costs – If you provide your current annual cooling and heating costs to an HVAC contractor in Philadelphia PA, he should be able to estimate what it should be, once you’ve replaced the system. We utilize cooling-load and heat-load calculations to estimate what your annual utility bills will be when we’ve installed the recommended HVAC system. 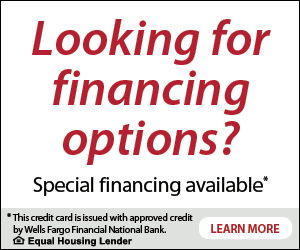 We can also tell you when it is no longer financially feasible to keep repairing your current system. Energy-efficient equipment – Beware of any HVAC contractors in Philadelphia that discourage the purchase of energy-efficient equipment after your current system has outlived its usefulness. Chances are, these individuals have not kept up with current market trends and/or technology updates. They may have no idea how to install such equipment. At Affordable Fixes, LLC, we are highly experienced at installing the newest energy-efficient models. Never make assumptions regarding equipment size – When it comes to higher utility bills, one of the contributing factors is improperly sized equipment. A reputable and trustworthy HVAC contractor will never assume that your old equipment should be replaced with the same size unit unless they have properly measured the one you have. Furthermore, after measuring, Affordable Fixes, LLC will only recommend ENERGY STAR rated products when replacing your current system. Office or shop with a physical address – One of the first things you should always investigate when shopping for an HVAC repair contractor in Philadelphia is whether or not they have a local area office, or a shop with a physical address. It shouldn’t embarrass them if you visit their office, even if it is located on their home property. In most cases, that office or shop is an indication of how long they’ve been in business. Listings with only a PO Box for an address and only a toll-free phone number should be avoided. Price should not be a factor – At Affordable Fixes, LLC, we know the importance of family budgets and how they are oftentimes a determining factor when making a major household purchase. However, you should never start your search for a contractor by searching for the cheapest price. You’re almost guaranteed to find an uninsured and unlicensed scam artist by considering the price above all else. Proper certification – HVAC contractors in Philadelphia should at least be NATE or North American Technician Excellence certified. 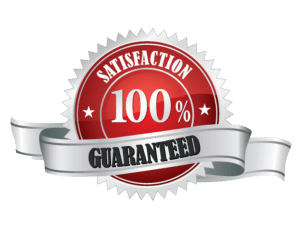 Any company that is NATE certified will only hire efficient, knowledgeable, and professional technicians. In addition to being NATE certified, we are EPA (Environmental Protection Agency), OSHA (Occupational Safety and Health Administration), and PHCC (Plumbing, Heating, Cooling Contractors Association) compliant. Reputation – Finding an HVAC contractor in Philadelphia PA with a good reputation, and good reviews, is one of the main qualities to look for when searching through possible candidates for the job. The BBB or Better Business Bureau rates businesses, services, and trade companies on a scale of A+ to F. Affordable Fixes, LLC has an A+ rating with the BBB and a 5-star rating with Yelp and Google. So when searching through your list of choices, make sure they are rated as highly as we are. Surveys and then estimates – Any reputable A/C and heating specialist will survey your home first before giving you an estimate of the HVAC repair costs in Philadelphia. Unfortunately, not everyone is reputable; and this industry is not immune to fraud claims and repair scams. If they attempt to give you an estimate of the cost over the phone, you would be wise to just hang up and interview the next candidate. In other words, they’re probably trying to victimize you with the old bait and switch. With our company, you’re never just another scheduled stop on our work log. 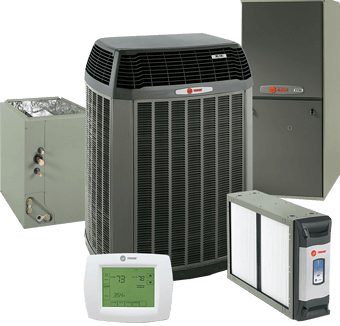 When you hire us, we are completely focused on addressing your needs and getting your air conditioning, or heating system, back up and running quickly and efficiently. For more information about our comprehensive line of HVAC contractors services in Philadelphia, contact Affordable Fixes, LLC today.